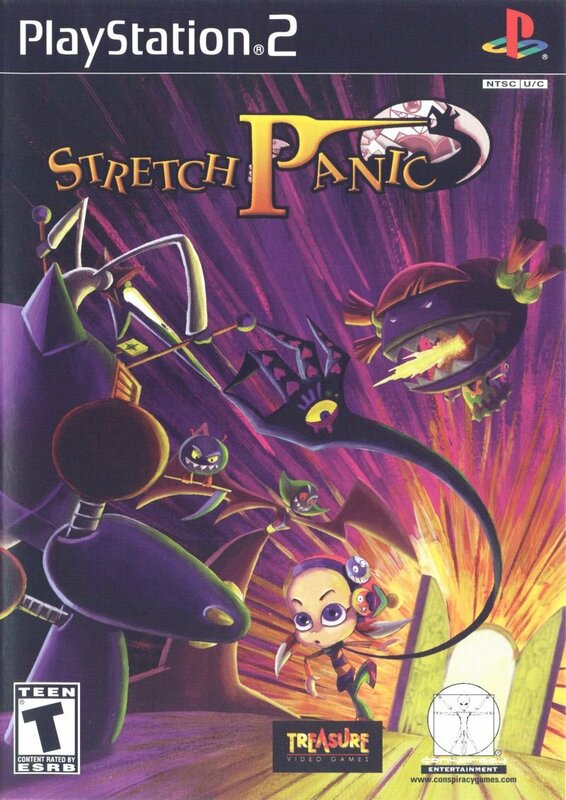 Stretch Panic was notable for being Treasure’s first 3D game. It was released for the PlayStation 2 in 2001. 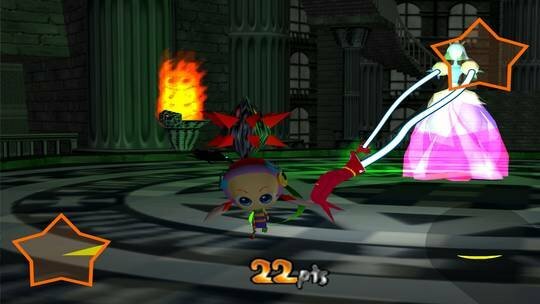 It had some fairly unique game play elements, primarily the ability for the main character (Linda) to stretch, pinch and bend objects and opponents with a scarf. You play the role of Linda as she sets out to rescue her twelve sisters who are possessed by demons. Fortunately, Linda has full control over a scarf possessed by a 13th demon which is what gives it magical abilities. I never really played this game. It received mixed reviews with a very positive one featured above in GameGo! magazine. Electronic Gaming Monthly on the other hand only gave it 4.9/10 stars. 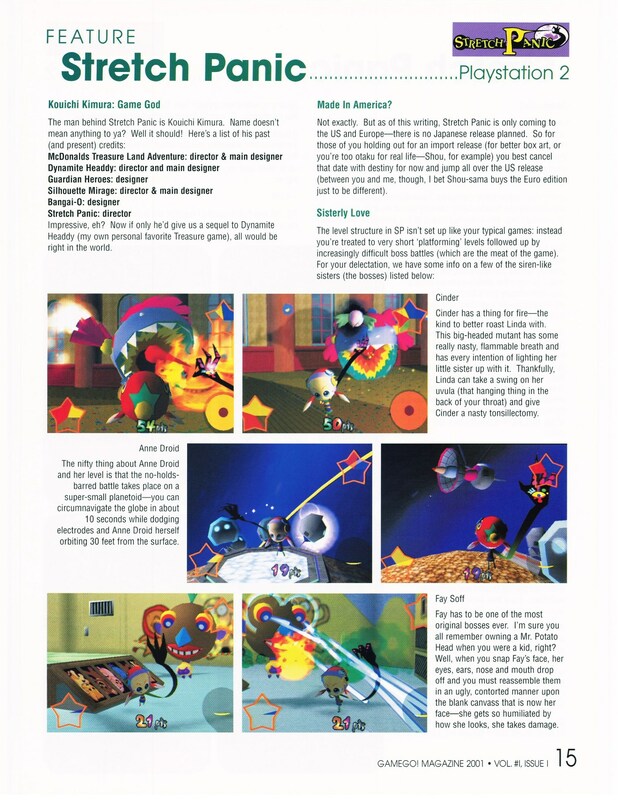 I would tend to trust the EGM review though I’m still a little bitter about that fact that GameGo! took my subscription money and then never published another issue. This game gets some relatively high and extremely low scores in other places as well though. This game was called Freak Out in Europe and Hippa Linda in Japan. There weren’t any sequels or remakes of this game that I am aware of but fortunately, used copies are reasonably priced. This doesn’t seem to be a particularly rare game. For Treasure fans it might be worthwhile to track down a copy if you don’t already have one but for everyone else, maybe try it on an emulator if you can before you buy.